I always clung to John 3: 16 “For God loved the world so much that he gave his one and only Son, so that everyone who believes in him will not perish but have eternal life. But now I am convinced that I never really understood that verse. At face value, in modern day English, it’s very simple and I was led to believe that it doesn’t require any effort on my part, other than to have an intellectual belief that Jesus paid the ultimate sacrifice for my sins. I guess I just didn’t get it. Matt. 21 “Not everyone who calls out to me, ‘Lord! Lord!’ will enter the Kingdom of Heaven. Only those who actually do the will of my Father in heaven will enter. What’s interesting is that although I might’ve had that belief for many years, I knew that I knew that I knew, that I should be reading my Bible regularly. Some years I regularly attended church, Some years I did not. Of course, when I regularly went to church I felt closer to God. I felt better about myself and overall it had a positive impact on me and my family. Although I was attending church, something was missing. When participating in Bible studies, that helped, where we’d actually open the Bible and discuss what God would say, that gave me some Divine inspiration, but still, something was missing. I understand what I was missing, and that is discipleship. What’s amazing to me is I’ve read about the twelve disciples and heard about them, but never thought that the concept applied to me, or I just never considered it I suppose. 2 Timothy 2: 1 Timothy, my dear son, be strong through the grace that God gives you in Christ Jesus. 2 You have heard me teach things that have been confirmed by many reliable witnesses. Now teach these truths to other trustworthy people who will be able to pass them on to others. There are two ways to be discipled. Psalm 25: 4 Show me the right path, O Lord; point out the road for me to follow. 5 Lead me by your truth and teach me, for you are the God who saves me. All day long I put my hope in you. Proverbs 27: 17 As iron sharpens iron, so a friend sharpens a friend. I take this literally to mean that we’re quite dull (ineffective) if we are not learning from and serving our Christian brothers and sisters. Rom. 12: 1 And so, dear brothers and sisters, I plead with you to give your bodies to God because of all he has done for you. Let them be a living and holy sacrifice—the kind he will find acceptable. This is truly the way to worship him. 2 Don’t copy the behavior and customs of this world, but let God transform you into a new person by changing the way you think. Then you will learn to know God’s will for you, which is good and pleasing and perfect. Revelation 3: 15 “I know all the things you do, that you are neither hot nor cold. I wish that you were one or the other! 16 But since you are like lukewarm water, neither hot nor cold, I will spit you out of my mouth! 17 You say, ‘I am rich. I have everything I want. I don’t need a thing!’ And you don’t realize that you are wretched and miserable and poor and blind and naked. 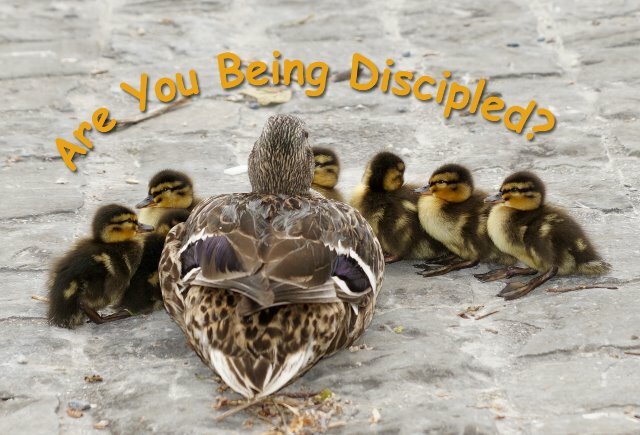 That being said, do not wait for your church to start a discipleship program if they don’t already have one. Pray that God will lead you to someone that you can learn from. I like Bible Studies, but it’s not nearly the same as one-on-one or very small groups. I was lukewarm for far too many years. Today I am determined to stay on His path. At TheBibleTeam.com we offer a weekly opportunity to learn and grow, and that is our weekly Bible Team call. This is an informal time of discussing the Bible and what everyone’s been reading. It’s open to the new believer as well as the most seasoned, everyone learns something. For me, it is the fastest hour of the week. If you desire a closer walk with Jesus, just want more fellowship or "Bible Time" come join us at TheBibleTeam.com. We have weekly calls where our sole focus is spending time in God's Word. Unless otherwise indicated, all Scripture quotations are taken from the Holy Bible, New Living Translation, copyright © 1996, 2004, 2007, 2013, 2015 by Tyndale House Foundation. Used by permission of Tyndale House Publishers, Inc., Carol Stream, Illinois 60188. All rights reserved. 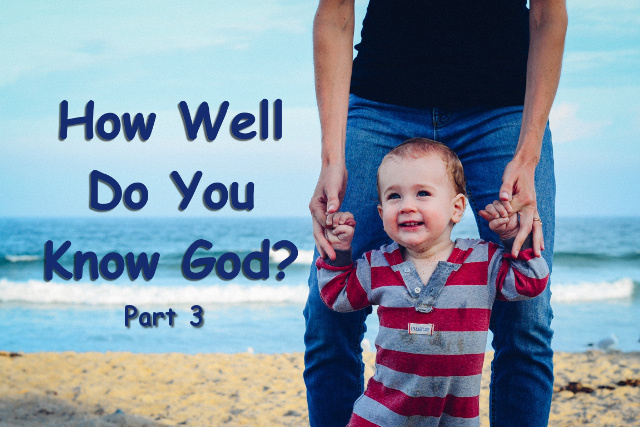 I sincerely hope you enjoyed last week’s 3 part series called “How Well Do You Know God”. Given all the messages that I’ve posted so far, do you know what to do? Do you know how to love God, how to be a true disciple, or what to do to have eternal life? Other than going to church, what do we do that’s different? Many people give us suggestions about what we should do, you know friends, relatives, neighbors, stock brokers, etc. We should invest in stocks, we should go to a baseball game, we should get on Facebook, we should watch a particular movie, we should go to the beach, we should… well, you get the idea. There are many things to spend our time doing and many people in our lives give us wonderful suggestions. Have you ever thought about what God wants you to do? I am not saying not to do any of things I mentioned, but if I love God more than any person, then I shouldn’t I consider what He wants me to do? There are a lot of commands of course such as “love one another” and “love your enemies”, but what does God want us doing with our time? Does God even care how we spend our time, as long as we are obeying His commandments? Does He overtly tell us to do something, other than the obvious Great Commission? When reading the gospels I see that Jesus gives clear instruction on what we should be doing, so I thought I’d do a little study on it. Luke 13: 24 “Work hard to enter the narrow door to God’s Kingdom, for many will try to enter but will fail. Work hard? What does that mean? To me, working hard is doing all that we can to enter the “narrow door”. For me, it is developing a daily reading habit, consistent prayer or as Paul says in 1 Thessalonians 5: 17 “pray without ceasing”, and consistently fellowship. 2 Peter 1: 5 In view of all this, make every effort to respond to God’s promises. To be honest I still don’t know what it means to love God with all my heart, soul and mind. I’m still trying to figure that out. In this passage of John, the disciples want to perform God’s works, I love how Jesus simplifies it. I’m not sure what other commentary is needed here. It’s clear that Jesus wants us to work hard, spending our energy to join Him for all eternity. That doesn’t sound like a bad deal, does it? Now, do you know what to do? In my last message, we discussed the importance of having a personal relationship (part 2) with God. Before that, we discussed the relationship God intended (part 1) for the people He created. I said, “If we don’t grasp this concept of relationship and continually seek God we’ll miss the boat completely, so why bother?”. What do I mean by missing the boat? What I mean is missing out on eternal life and being separated from God for all eternity. Yes! that’s right, let me explain. Matthew 7: 14 But the gateway to life is very narrow and the road is difficult, and only a few ever find it. What does Jesus mean by difficult? John 3: 16 sounds easy, “whosoever believeth in him“, but it’s easier said than done. Believe means trust. This is beyond a belief in your mind, it’s more of a trust from your heart and that’s what makes it difficult. Did you catch that? “I never knew you“. These verses make it clear that the religious busybodies that do this and do that for God, without developing a relationship with Him lose out in the end. There it is again, “I don’t know you“. This doesn’t mean Jesus doesn’t know they exist, it means that Jesus hasn’t heard from them enough to really know them. The bridesmaids were not prepared. A great part of being prepared is getting to know God, in fact, it’s the most important part. In any relationship, there is a give and take, and God wants to participate in a relationship with you. He wants you to trust in Him, ask Him for things and come to Him with all your cares and burdens. He wants to answer those prayers and give you hope and peace. If you only knew what He wants for you! Think about a father that keeps inviting his children to visit him and all they do is stop by for an allowance. Maybe they run errands for him and prepare food for him, but then they leave. I can tell you now that dad’s not happy, he’s lonely and disappointed that his kids didn’t hang around and spend time with him. I’m a father, I know this. What does it mean to you to love God with all your heart, soul, strength and mind? For me, it means to love Him with every fiber of my being. To do all that I can to know about Him and listen to His voice. If our primary focus is not on loving God then we’re being disobedient, regardless of what else we do. I suggest that you spend more time on your relationship with the Lord than anything else you do. It’s your relationship with Him, not your rituals or Sunday morning attendance that will lead you to an eternity with Him. If you have questions or concerns, feel free to leave a comment below, I’d love to hear from you! In my last post, “How Well Do You Know God? Part 1″, we discussed how God has always intended for man (men and women) to accept His invitation to know Him and become part of His family. Acts 17: 30 “God overlooked people’s ignorance about these things in earlier times, but now he commands everyone everywhere to repent of their sins and turn to him. John 5: 39 “You search the Scriptures because you think they give you eternal life. But the Scriptures point to me! 40 Yet you refuse to come to me to receive this life. Jesus is addressing the Pharisees, the religious leaders, telling them that they are simply being religious. Imagine that! They refused to come to Jesus and He was right there in front of them! The Scriptures don’t give eternal life, but they point to the One that does! This happens today. People worship the Bible when they make more of the Bible than what it is. If only their leaders could introduce them to Jesus! The Bible is God’s Word, God’s message to us, but it’s not God. Any spiritual knowledge we receive from the Bible comes from the Holy Spirit. Even atheists read the Bible, but they fail to acknowledge God’s existence. Think of the Bible, it’s message, as a key, but the key only works when oiled with the Holy Spirit. Jesus is the Door (John 10:9) and only the Key (Scriptures) with the Holy Spirit, can open the door. The Truth, of course, is the Bible, Knowledge of God, either written or audible and the Spirit is the Spirit of God. This is so simple yet cannot be overstated. Romans 8: 15 So you have not received a spirit that makes you fearful slaves. Instead, you received God’s Spirit when he adopted you as his own children. Now we call him, “Abba, Father.” 16 For his Spirit joins with our spirit to affirm that we are God’s children. You can make Christianity religious if you want. Sure, make Christianity religious if you want, like so many others do. Say your daily prayers, go to church or mass every Sunday, and even read your Bible every day. Just know if you do not know God personally, and are not seeking Him (as we’ve discussed) and placing your trust in Him, then you are either religious or in some strange social club. Only when we have that relationship which allows God to bring true change to our hearts will we be attracting others to Christ through our actions and love. Knowing true change for ourselves and seeing God through others is what sets us on fire. Do not miss out on this! If we don’t grasp this concept of relationship and continually seek God we’ll miss the boat completely, so why bother? I’ll explain why you’ll miss the boat next time. Jesus and His Father want you to know them and to love them with your whole heart. Isaiah 29: 13 And so the Lord says, “These people say they are mine. They honor me with their lips, but their hearts are far from me. And their worship of me is nothing but man-made rules learned by rote. Doesn’t this sound like our church today? This is a very personal message and this whole concept of a relationship with the Creator of the universe can be overwhelming. I can only point, direct and lead people to God. The relationship part requires that one makes a conscious, deliberate effort to meet with and converse with the Lord daily. If you struggle with this, then this is what I suggest: Make your prayers more relational. In prayer, talk to God as though He’s sitting across from you. Tell Him: “Father, I want to know you more. Please reveal yourself to me.“ and proceed to tell Him whatever’s on your mind. Psalm 55: 22 Give your burdens to the Lord, and he will take care of you. He will not permit the godly to slip and fall. I’ll wrap up this mini-series next time that I hope will hit this message home. Do you know God? One can know all about God, but not really know God. Just like someone famous. We can know all about them through media, but do we truly know them? While I’ve been talking about a relationship with God for a few weeks now, I’ve been assuming that all my readers had a personal relationship with God. But one can be religious without truly knowing the Living God. By the way, this topic is what separates all religions from what we understand on this blog. This is how to be a Christ follower, not a religious follower. There is no religion that enables people to be a “friend of God”. I confess that I knew about God for most of my life, but I really didn’t know God personally until much later. It was as if God was a distant Father that was always away and never had time for me, but now I know that it was me that failed to reach out to Him. James 4: 8a Come close to God, and God will come close to you. When I finally read His Word diligently, and sincerely sought Him, I discovered God in a way that I never realized. It was like He had this invitation to know Him extended to me all along, but I didn’t actually read the invitation until I finally “woke up”. John 15: 14 You are my friends if you do what I command. 15 I no longer call you slaves, because a master doesn’t confide in his slaves. Now you are my friends, since I have told you everything the Father told me. We become friends with God as His disciples and we know from this verse in John 20 that Jesus means for us to relate to His God as our God and His Father as our Father. Hebrews 2: 11 So now Jesus and the ones he makes holy have the same Father. That is why Jesus is not ashamed to call them his brothers and sisters. Isn’t this amazing, how the Creator of all things desires us to be in His family? This was His intention from the beginning of time. 1 John 3: 1 See how very much our Father loves us, for he calls us his children, and that is what we are! But the people who belong to this world don’t recognize that we are God’s children because they don’t know him. Can you see that God gave us earthly families to remind and teach us about how we can relate to Him and His Son? But if we don’t read the Invitation He gave us (the Bible), we’d continue in ignorance of these things and remain estranged to Him, even if we do “believe”! 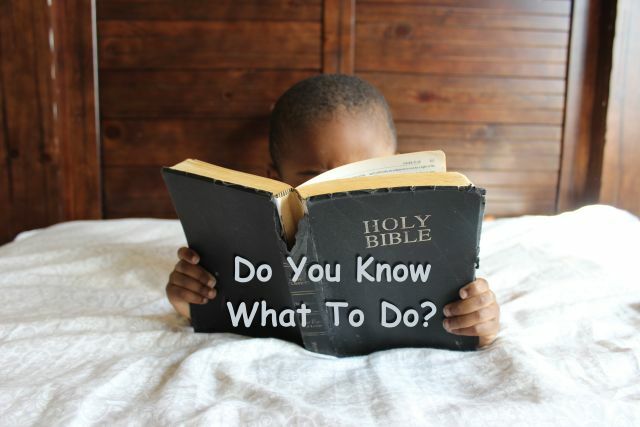 Do know God as your Father? About prayer: When you come before God, think of yourself as God’s own son or daughter, because that’s who you are! He is there to listen to us and we can take great comfort in that. Today we’ll be discussing fruit. Not bananas, not watermelons, but spiritual fruit. 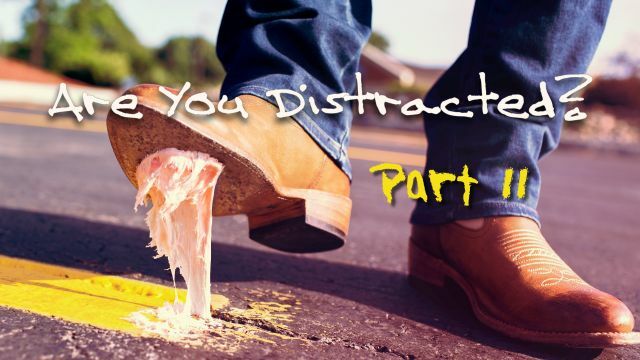 I hope you enjoyed the last two messages on distractions and knowing where your focus needs to be. Those messages need to be understood and applied in order for you to bear fruit. Galatians 5: 22 But the Holy Spirit produces this kind of fruit in our lives: love, joy, peace, patience, kindness, goodness, faithfulness, 23gentleness, and self-control. As we continue seeking God we should be seeing changes in our lives. I think it is important to make observations and journal about it. In this way, we can remember what God is doing in us and we can share this with others as our testimony. As an example, I can say that 10 years ago I lacked peace and patience. After almost 2 and a half years of seriously seeking God, I had a tremendous peace and a lot more patience. 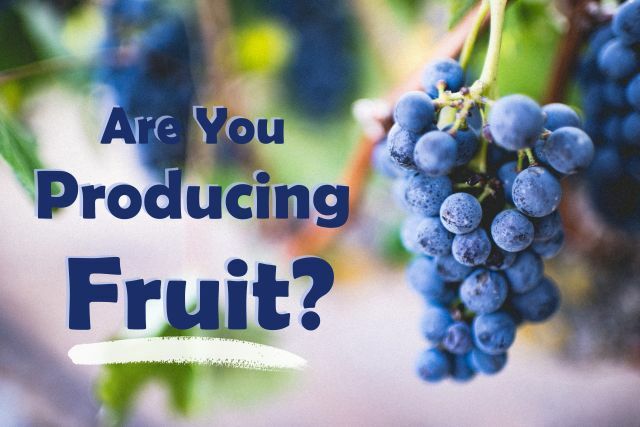 How important is it that we see this fruit? Matthew 7:17 A good tree produces good fruit, and a bad tree produces bad fruit. 18 A good tree can’t produce bad fruit, and a bad tree can’t produce good fruit. 19So every tree that does not produce good fruit is chopped down and thrown into the fire. Whoa! I’d say it’s very important, producing fruit is essential, but know that it is just an indicator. If you can’t see evidence of it, or it’s not obvious, just hang in there. In an age of instant gratification, this is not an overnight process. Look at it as an on-going journey. Many times we need to lessen our expectations and just focus on loving God and others. The fact that you’ve been reading these messages and more importantly, reading the Bible, means that you are hearing God’s word. These disciplines, in the presence of the Lord, is good soil. If the Bible does not make sense to you, then I invite you to join our weekly discussions. As long as you are planted in good soil (reading the Word, being in prayer and in fellowship), you do not have to worry about the fruit. You can rest assured that the fruit will develop. We just need to be consistent and deliberately seeking God, making Him the top priority. Notice that Galatians 5: 22 says “the Holy Spirit produces“, not you. So this isn’t about your ability to be more patient, otherwise, you’d be able to take the credit, but that doesn’t give Him glory. Are you remaining in Christ? My last message, part 1 regarding distractions, ended on a serious note. A topic of utmost importance, remember “There is only one thing worth being concerned about“? It is directly related to how distractions, innocent or not, can affect our walk with Jesus. 1 Samuel 13: 8 Saul waited there seven days for Samuel, as Samuel had instructed him earlier, but Samuel still didn’t come. Saul realized that his troops were rapidly slipping away. 9 So he demanded, “Bring me the burnt offering and the peace offerings!” And Saul sacrificed the burnt offering himself. 1 Samuel 13: 13 “How foolish!” Samuel exclaimed. “You have not kept the command the Lord your God gave you. This was the beginning of the end for King Saul, he never recovered from this. This distraction was the wind and waves. He was worried, just as King Saul was. Can you relate? Not walking on water, of course, but being in circumstances that seem overwhelming and terrifying. I can’t think of a better illustration than Peter taking his eyes off Jesus and beginning to sink. This led him to cry out “Save me, Lord!”. Do you see that God uses cares and worries to draw us closer to Him? This is my all time favorite verse for dealing with worries and concerns. Because if we can learn to give these matters over to the Lord quickly, the less distracting they’ll become. The fear can linger, so just keep praying and giving it over to the Lord. Meditate on this verse, memorize it, and it will serve you well. Philippians 4: 6 Don’t worry about anything; instead, pray about everything. Tell God what you need, and thank him for all he has done. 7 Then you will experience God’s peace, which exceeds anything we can understand. His peace will guard your hearts and minds as you live in Christ Jesus. When you develop the daily habit of spending time with Jesus it’s easier to focus on Jesus. His Words are fresh in your mind and this will help you survive any storm you face. Be in prayer. Stay in the Word. Join those that love Jesus. I have a confession… Not only am I highly distracted but easily distracted. So there, I said it! We all have to deal with them and they challenge the best of us. That is distractions. This week I want to look at what is causing us to be distracted and what we really need to focus on. Matthew 13: 22 The seed that fell among the thorns represents those who hear God’s word, but all too quickly the message is crowded out by the worries of this life and the lure of wealth, so no fruit is produced. What is distracting us and taking our eyes off Christ? Here is a list of some “popular” distractions: TV, radio, friends, family, Internet, neighbors, activities, and video games. Here is another list of distractions that work in a different way: lack of employment, poor health, money (both lack of and lust of), legal issues, lust, appetite, etc. I can’t list everything, just keep in mind that anything that is taking our focus off Christ is a distraction, even ministry. Not all of these activities are “bad”, of course, but they can all distract us from loving God. We can see here that the distraction is making dinner (serving/ministering). Of course, Martha is saying that Mary is distracted by Jesus “my sister just sits here while I do all the work?”. It’s easy to allow the world guilt us into doing work, but Jesus makes it clear what’s most important. Luke 10: 42: “There is only one thing worth being concerned about“. And here He’s telling us “There is only one thing worth being concerned about“, which is spending time in the presence of the Lord. This is something we cannot afford to lose sight of. This is the essence of our walk with Him. The time we spend sitting at His feet, “listening to what He teaches“, is how we get to know Him. This is how He knows us! My point here is this: We all get distracted, that is unavoidable. Distractions happen. We, men and women of God, cannot afford to neglect the one thing that is needed. We must spend time at the Lord’s feet. Did you commit last week, referring to the last post? Committing to Jesus makes all the difference when challenged. When God challenges you, you will either draw closer to Him or stray further away. God is testing you and how you respond makes all the difference. Read carefully to understand your role in this. If you committed yet feel like a failure, relax. Loving God and making it a daily practice is not that easy and some days are downright challenging. What’s amazing is that I can go to bed at night feeling down, exhausted and frustrated yet I cast my cares on God. Then somehow, some way, tomorrow is a new day. God has a way of picking me up and changing my perspective on things. He miraculously gives me a new attitude. I’ve come to realize that this is a process. Growth does not happen overnight and growth will not occur unless we are challenged. Who ever said the Christian life was easy? John 3: 16 “For God loved the world so much that he gave his one and only Son, so that everyone who believes in him will not perish but have eternal life. John 15: 5 “Yes, I am the vine; you are the branches. Those who remain in me, and I in them, will produce much fruit. For apart from me you can do nothing. 6 Anyone who does not remain in me is thrown away like a useless branch and withers. Such branches are gathered into a pile to be burned. The key is to remain in Christ. Remaining/abiding in Christ requires us to be proactive which will bring adversity. Matt. 13: 22 The seed that fell among the thorns represents those who hear God’s word, but all too quickly the message is crowded out by the worries of this life and the lure of wealth, so no fruit is produced. This is the example of the person who strays. They are allowing worldly concerns (worries, wealth, lust, etc.) to come between them and Jesus. Let me be clear, being in good soil is reading with Word, being in prayer and in close fellowship with other believers frequently. These are the activities that will keep you in Christ. Learn this and you’ll stay in good soil. Rom. 5: 3 We can rejoice, too, when we run into problems and trials, for we know that they help us develop endurance. 4 And endurance develops strength of character, and character strengthens our confident hope of salvation. 5 And this hope will not lead to disappointment. For we know how dearly God loves us, because he has given us the Holy Spirit to fill our hearts with his love. This is why it is essential to make time for God each day. Prayer, reading the Word, and regularly spending time with other committed believers is essential to “abiding in Him”. For resources that may help you in this endeavor of remaining in Christ, visit TheBibleTeam.com. 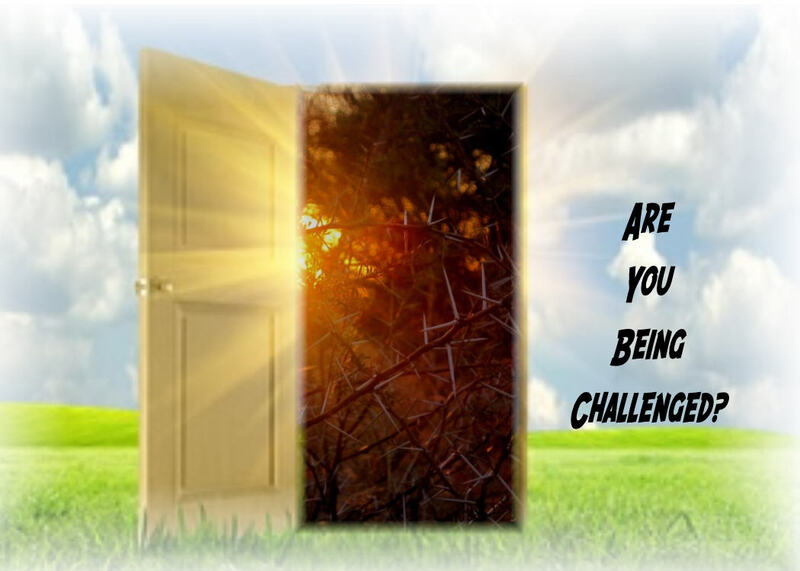 Does this change your perspective on being challenged? 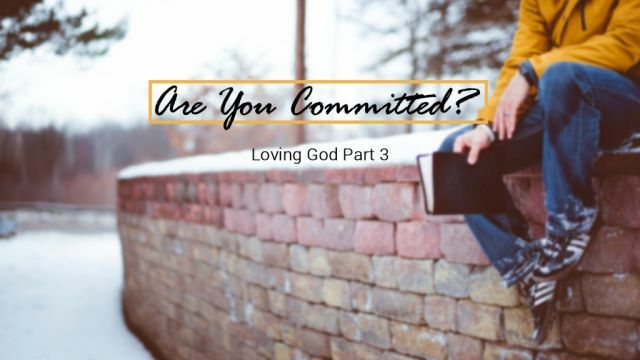 Have you considered lately how committed you are to knowing God? Matthew 6: 33 Seek the Kingdom of God above all else, and live righteously, and he will give you everything you need. This verse always reminds me what to focus on. The problem is that I start getting caught up in my daily affairs and other matters of lesser importance start clouding everything. This week I want to discuss what we can do to keep focusing on God and serving Him. How committed are you to following God? Is God your most important relationship? If you said yes, then please listen carefully. Luke 14: 25 A large crowd was following Jesus. He turned around and said to them, 26 “If you want to be my disciple, you must hate everyone else by comparison—your father and mother, wife and children, brothers and sisters—yes, even your own life. Otherwise, you cannot be my disciple. Have you realized just how committed Jesus wants us to be to Him? What does it take to grow any relationship? Doesn’t it take time, communication and attentiveness at the very least? If a man expects to have a good marriage, won’t he at least talk to his wife or spend time with her every day? Of course the more a man knows about his wife, the more he knows how to love and please her. The difference with God is that we can’t interact with Him in the same way. I can ask my wife what she wants to eat or where she’d like to go and she’ll tell me. With God it isn’t quite the same, is it? So how do we get to know God more? I once watched a video that was a biography of our second president, John Adams. The author was recollecting reading through his letters and memoirs and said that he got to know John Adams. I thought that was profound, the idea that well over 200 years ago someone put his thoughts, wishes, plans and ideas on paper and we can know that person today. Is it any different with God’s Word? In order to know God is there any other way of knowing Him outside of the only Book He ever authored? Joshua 1: 8 Study this Book of Instruction continually. Meditate on it day and night so you will be sure to obey everything written in it. Only then will you prosper and succeed in all you do. Just imagine how committed King David and Joshua must have been to share these promises. It makes sense, the same principles that it takes to have a good marriage also applies to improving our relationship with God. If a man doesn’t “make time” for his wife, what will he get in return? Likewise, what can we expect when we fail to “make time” with God? Click here to start reading today.